Cholesterol-lowering statin drugs are among the most widely prescribed drugs on the market, with one in four Americans over 45 taking them. This already inflated number is set to increase significantly, however, courtesy of controversial revised cholesterol-treatment guidelines issued by the American Heart Association (AHA) and the American College of Cardiology (ACC) last year. The guidelines were met with fierce debate because they loosened the definition of who would qualify for statin drug treatment to prevent heart disease, greatly increasing the number of people who would be eligible for treatment. The guidelines, which previously focused on cholesterol levels, now focus on risk factors, as determined by a flawed online calculator that may not accurately gauge heart-disease risk at all. Adding to the debate, researchers from Duke University have calculated exactly how many more Americans may find themselves eligible for statin drugs under the less strict guidelines… and the results are astounding. Using data from the National Health and Nutrition Examination Surveys of 2005 to 2010, the researchers estimated the number of people for whom statin therapy would be recommended under the new ACC-AHA guidelines. Compared with the older guidelines, the new recommendations would increase the number of US adults ages 40 to 75 eligible for statin therapy from 43.2 million to 56 million, with most of the increase occurring among adults without heart disease. This equates to nearly half of the US population between the ages of 40 and 75! Among older adults (those between the ages of 60 and 75), the percentage eligible for statins would increase from 30 percent to 87 percent among men and from 21 percent to 54 percent among women. According to the study, this drastic rise would be driven largely by risk determined solely by their 10-year risk of a cardiovascular event – a measure that has been heavily criticized by experts (as I’ll discuss shortly). The new guidelines advise doctors to look at certain risk factors in order to determine if a person should be prescribed a statin drug, or whether he or she should simply focus on heart-healthy lifestyle changes. The problem is, virtually no one will fall into the latter category. The guideline report was prepared by a panel of “experts” who volunteered their time, and is ostensibly based on an analysis of randomized controlled trials. 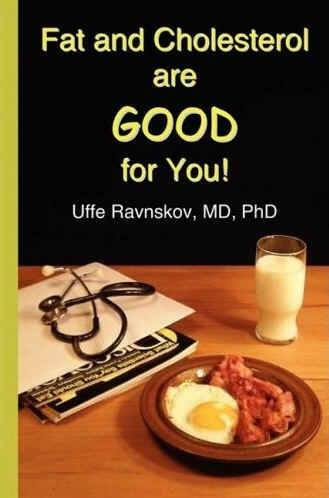 Is your LDL cholesterol above 190? Is your 10-year risk of a heart attack greater than 7.5 percent? The calculator created to ascertain your 10-year heart attack risk has been programmed in such a way as to make patients out of virtually everyone—health status or cholesterol levels be damned. The cardiovascular risk calculator appears to overestimate your risk by anywhere from 75 to 150 percent! According to Dr. Stephen Sinatra, who wrote an in-depth article in which he decimated every single one of these four treatment guidelines, the 10-year heart attack risk calculation has been “programmed” in such a way as to make patients out of virtually everyone. Besides that, Dr. Sinatra points out that the complexity of estimating risk based on age, race, blood pressure, smoking habits, and other criteria, as the calculator claims to do, is quite likely to lead to overzealous prescribing. When Cleveland Clinic cardiologist Dr. Steven Nissen used the calculator to evaluate some of his own patients—men who had no known risk markers—it became clear just how flawed this measure really is. They had healthy cholesterol levels, normal blood pressure, and didn’t smoke; in short, these were men who were completely healthy. The calculator still ended up finding a 7.5 percent risk, qualifying them for arbitrary drug treatment. “Something is terribly wrong,” he told the New York Times, noting that using this calculator will ensure that virtually every “average healthy Joe” gets statin treatment. Do You Have Diabetes? In short, giving a drug that causes diabetes to someone who already has diabetes is nonsensical. It can only make matters worse. What’s more, data indicates that statins can cause arterial calcification in diabetic men who take the drug. 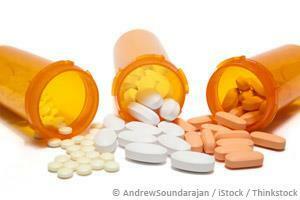 Thirdly, statins can cause cataracts, which is a common problem in diabetics. The drug may therefore increase this risk. Is Your LDL Above 190? This may be appropriate if you have genetic familial hypercholesterolemia, as this makes you resistant to traditional measures of normalizing cholesterol, such as diet and exercise. This condition is quite rare, affecting an estimated one in 500. In the absence of this genetic situation, treating high LDL levels has little validity. Dr. Sinatra summed it up well with the notion that statin drugs should not, in any way, be viewed as a form of prevention. Perhaps the biggest “sham” of all is that statin drugs, touted as “preventive medicine” to protect your heart health, can actually have detrimental effects on your heart. For example, a study published in the journal Atherosclerosis showed that statin use is associated with a 52 percent increased prevalence and extent of calcified coronary plaque compared to non-users. Coronary artery calcification is the hallmark of potentially lethal heart disease! Exercise induces changes in mitochondrial enzyme content and activity (which is what they tested in the above-mentioned study), which can increase your cellular energy production and in so doing decrease your risk of chronic disease. The key to understanding why statins prevent your body from reaping the normal benefits from exercise lies in understanding what these drugs do to your mitochondria—the “powerhouse” of your cells, responsible for the production of energy for all metabolic functions. Statins have also been shown to increase your risk of diabetes via a number of different mechanisms, including increasing insulin resistance and raising your blood sugar. And this is only a handful of statin side effects. There are over 465 studies proving their adverse effects , which run the gamut from muscle problems and sexual dysfunction to cognitive loss and increased cancer risk. The lead author, Dr. Neil J. Stone, is a strong proponent of statin usage and has received honoraria for educational lectures from Abbott, AstraZeneca, Bristol-Myers Squibb, Kos, Merck, Merck/Schering-Plough, Novartis, Pfizer, Reliant, and Sankyo. He’s also served as a consultant for Abbott, Merck, Merck/Schering-Plough, Pfizer, and Reliant. Another author, C. Noel Bairey Merz, has received lecture honoraria from Pfizer, Merck, & Kos, and has served as a consultant for Pfizer, Bayer, and EHC (Merck). She’s also received unrestricted institutional grants for Continuing Medical Education from Pfizer, Procter & Gamble, Novartis, Wyeth, AstraZeneca, and Bristol-Myers Squibb Medical Imaging, as well as a research grant from Merck. She also has stock in Boston Scientific, IVAX, Eli Lilly, Medtronic, Johnson & Johnson, SCIPIE Insurance, ATS Medical, and Biosite. It’s a slippery slope when we begin to put stock in medications as the “key” to preventing lifestyle-based diseases like heart disease. I do not foresee the end result of medicating virtually every adult American being a good one… It is obvious to anyone that understands natural health that this is a disaster in the works, as the evidence of harm from statins  is overwhelming. Statins  have nothing to do with reducing your heart disease risk. In fact, as mentioned this class of drugs can increase your heart disease risk—especially if you do not take Ubiquinol  (CoQ10) along with it to mitigate the depletion of CoQ10 caused by the drug.